The human brain has dozens and dozens of areas that perform special tasks. While a baby is born with a complete brain, it's like a brand new computer with no software and no data. So throughout childhood, the outer layer of the brain, the cerebral cortex - where "programs" and "data" are stored - programs its "operating system." 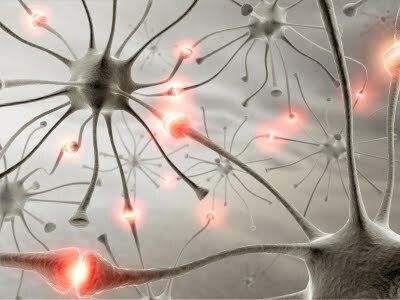 Each area of the cortex begins a window of development in which the foundation for that function gets wired up. As the child tries to perform the function - such as sight, hearing, physical coordination, crawling, walking, talking, etc., the brain cells in that area of the brain connect with each other. As brain scientists like to say, "the brain cells that fire together wire together." At the end of the period of development, The dendrites not used in the programing wither away and are absorbed by the body, and the process of building a foundation of basic capability for that area is over. The more exercise the particular area got, the more it wired itself, and the greater the platform of functionality. Not all areas wire themselves at the same time. One of the first areas to wire itself is the visual cortex. Newborn babies don't see much, because that area of the brain isn't developed yet. But immediately they begin working like crazy every day to make sense of the information sent by the optic nerve to the brain. This is why visual stimulation is so important at that age. A child who is exposed to a rich variety of colors and shapes and textures will grow up with "an eye for detail." But if a baby were were kept in total darkness all the time during the first year of life, the window of development for the visual cortex would open and close without creating the programs for sight. The child would be essentially blind. The last area of the cortex to develop is the prefrontal cortex, which is located behind the forehead. This is the area that "connects the dots." It forms associations and creates meaning and comprehension. So it relates cause and effect, envisions future consequences, evaluates information, performs logical reasoning, coordinates problem solving, decision making, planning, organizing and managing. You can see why they call it the "executive" part of the brain. When we say someone has a "brilliant" mind, we're talking about the prefrontal cortex. Scientists now know that this area begins development at puberty. The window for laying down the basic wiring for critical thinking lasts about 12 years - the entire period of adolescence. Exactly like the other areas, development begins with "blossoming," as thousands of dendrites sprout from every brain cell in the area. But they aren't connected to anything. Like the other areas, the dendrites connect to other brain cells only when the person uses that brain area. The more it's used, the more robust the network of wiring. Sometime in the early twenties, the window of development closes, and all the dendrites that weren't used die off. Use it or lose it. IMPORTANT - Development of this area is different from development of the other areas, in two significant ways. First, the stakes are huge. When adolescence is over and a person is a physically mature adult, he or she will end up with a brilliant mind or a dull, simple one - or somewhere in between. I know people who are healthy, talented and nice people, but they don't reason very well. They have a hard time with conceptual thinking. On their own, they don't connect the dots very well. I'm sure you've met people like this - good people, normal people, but far from being brilliant thinkers. This leads me to the second important difference. The development of the prefrontal cortex isn't like learning to walk or talk. It isn't a phase we all go through as we grow up, where we struggle initially but in the end we get the hang of it, we master the basics. Children have powerful intrinsic motivation to use the parts of their brain related to perception, physical coordination, crawling, walking and talking. They desperately want to have things, to hold them and use them. They desperately want to get from A to B. They want to ask for things and get them. Teenagers aren't motivated in the same way to wire up their prefrontal cortex. They don't have a strong desire to think things through so they can foresee consequences, fight peer pressure, control impulses and manage their emotions. They can meet their needs and survive the ups and downs of teen years without working hard on cognitive skills they don't even know exist. So the development of a fine mind isn't like a phase that kids work through to normalcy. At the end of adolescence, the brain cells in the prefrontal cortex that didn't fire together will not have wired together and the unused dendrites will be absorbed by the body. What's left is the individual's foundation for critical thinking. For life. There are no do-overs when it comes to brain development. Yes, later as a adult the person can turn on to learning and build on the end result. But a minimal platform means limitations. It's hard to achieve comprehension when you aren't good at comprehending. So it will be hard to build on the basic foundation, and only so much connectivity can be constructed on a minimal platform. All of this has huge implications for parents and teens. But sadly, what I've just written here is unknown to 99.999% of parents and teens today. If you follow my blog posts, you know I'm trying hard to get the word out. Meanwhile, maybe a kid will get lucky and have a few teachers or other adult mentors who make him think. It happened to me, and it can happen to other kids. Or not. 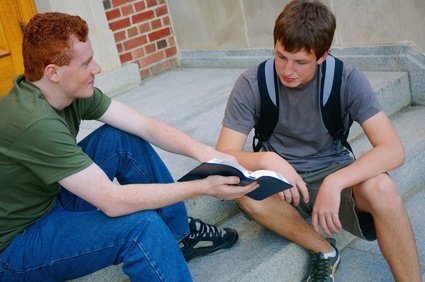 Or a parent can proactively interact with the teen to encourage independent thinking.